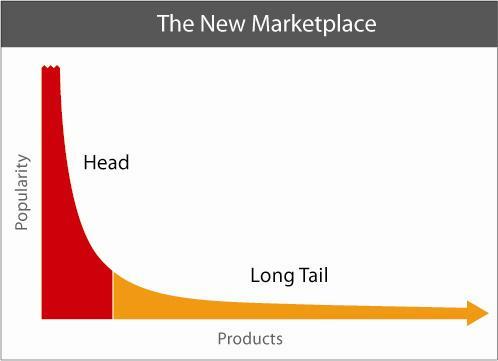 What is the Long Tail? In How Important is Top Search Engine Placement? I touched on the Long Tail, but I didn’t spend too much time explaining the concept. Guess what? Some readers have taken me to task for not doing so. So I’ll put things right. What is a Long-Tailed keyword? Strictly a Long-Tail keyword, but heck, have you seen how many people search on ‘long-tailed’, rather than ‘long tail’? The idea, from Chris Anderson, is that the huge number of key phrases that have small numbers of searches can deliver more traffic to your site than the small number of key phrases that have the highest search numbers. Here’s the rub. Not only are Long-Tail key phrases capable of delivering a lot of traffic to your site, but they’re usually much easier to rank for. And because they are more specific searches, the visitors Long-Tail searches deliver will be more likely to be interested in your site (more specific searches generally indicate that a person is further along the path to purchase). I tend to focus on a small number of high traffic keywords that are easy to rank for during the first stage of a project, to get the traffic levels up. The content I create is very carefully optimised and the structure (some would say Information Architecture) of the site carefully considered. 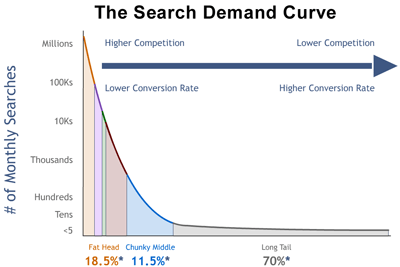 Have you targeted the Long Tail? Has Long-Tail SEO worked for you? Thanks to Tim Wilson for his graph, and sussexbirder for the long-tailed minivet.